Two Hundred Thousand Kwacha has gone missing at the Lusaka Magistrates Court after being tendered into evidence in a case involving murder convict Precious Longwe. The money is the property of Bank ABC, Longwe’s former employer. 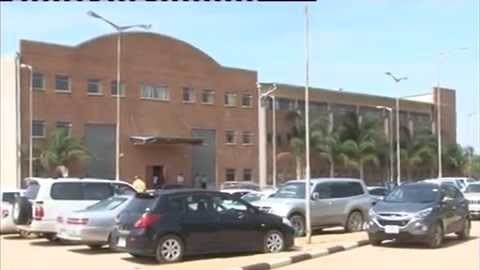 Longwe was sentenced to four years imprisonment for stealing the said money which was found in her matrimonial bedroom by police who were investigating the murder of her husband Akakanda Litebele. Following the sentence, the court ruled that the money be given back to the bank. However, last week when an envoy of the bank went to collect the money, it was discovered that it has gone missing. Investigations have since been instituted. Recently, there has been a spate of criminal activities involving break-ins at the court, as well as theft of court exhibits. Meanwhile, some court officials are facing criminal charges for allegedly stealing cocaine exhibits at the same court. You can’t use money as evidence. How can you tell ITS this money or that. If you deposit 200 000 in hundred kwachas then withdrawal 200 000 In fifty kwacha is not the same. You just gave them they know that and go ahead and chew the cash. If the courts are stealing, then who is prosecute the courts kanshi? We are in trouble in this country called Chambia. What an embarrassment. Any way, even koswe stole widows money. How do you expect the juniors from the courts behave. Drugs cocaines, goes Missing inside court. Unbelievable. Only in zambia. The whole entire arms of the government have been destroyed. Change we need. We have a thieving judiciary… The Police did not steal any of it but produced all of it as evidence… Only to have it stolen in the custody of the judiciary… The judiciary must stop such thefts.. There are bandits in the judiciary. They cannot blame it on breakiins. They were supposed to deposit the money ey as soon as it was tendered as an exhibit. They were told. All public workers were that abomba muibala, alya muibala. So who can you blame?.